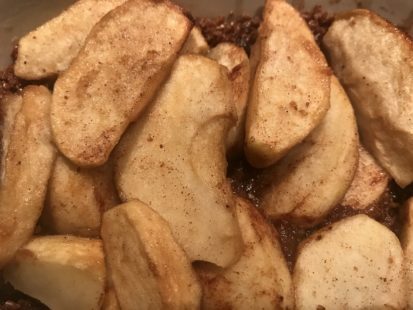 A Sweet and Tart Vegan Apple Pie for Thanksgiving! A tart and sweet apple pie perfect for a Thanksgiving feast! This apple pie leaves you with a fresh, not-too-full dessert on Thanksgiving night. 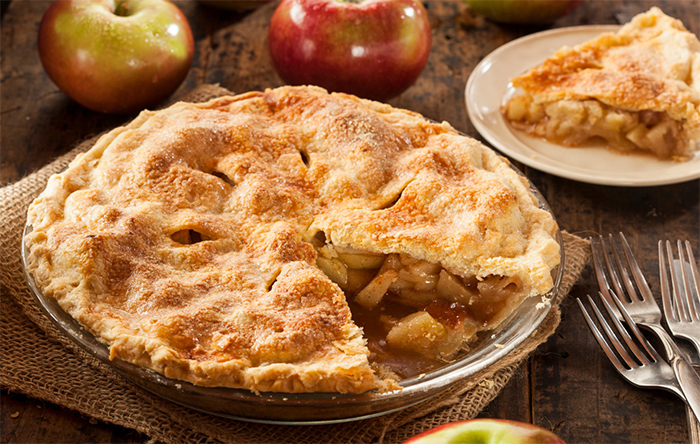 The sweetness of the pie pairs perfectly with the tart of the apples to create the most delicious pie. If you try it out, let me know! Peel, three large honey crisp apples. Core and cut in 1/8 slices. Top Crumble: same as crust, but sprinkle on top. Thin out crust mix until it covers all sides and bottom of pie pan. Fill with filling. Bake for 70 minutes at 350 degrees. Let sit for at LEAST 4-5 hours or up to 20-24 hours. ENJOY! SUBSCRIBE to Awesome Vegans with Elysabeth Alfano on iTunes and on my Youtube Channel, Elysabeth Alfano. And be sure to subscribe to my monthly newsletter to never miss a Facebook Live interview session or live cooking demos. Plus, Instagram and Twitter.